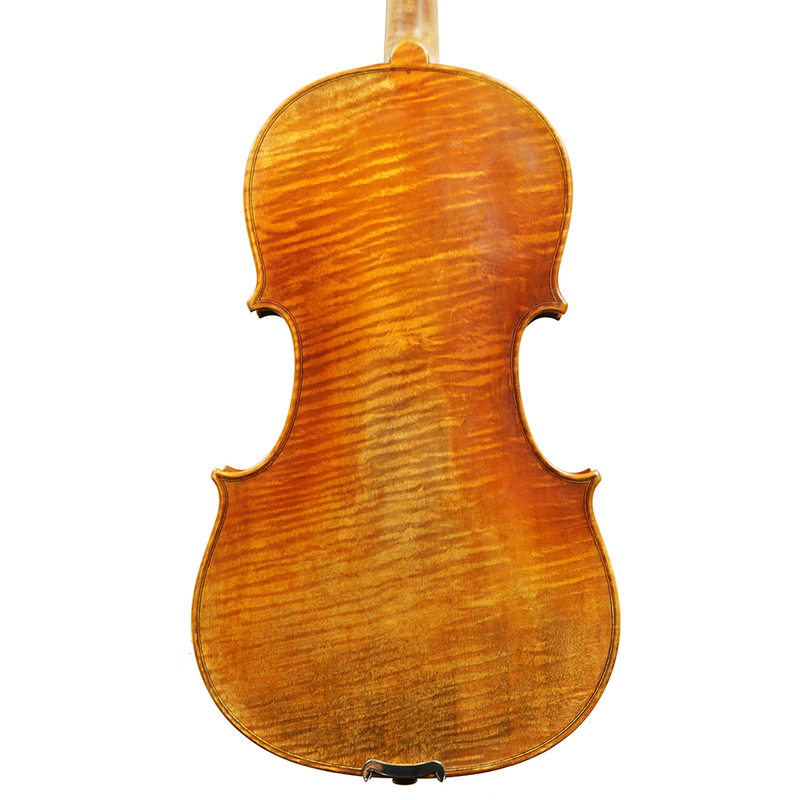 “Aldo Romano” Violin is made in the same family workshop as “Vitto Rossi” violin. It’s characterized by the fine craftsmanship, great beauty and consistent quality. Finest available flamed maple and select spruce. Naturally air-dried for over ten years. 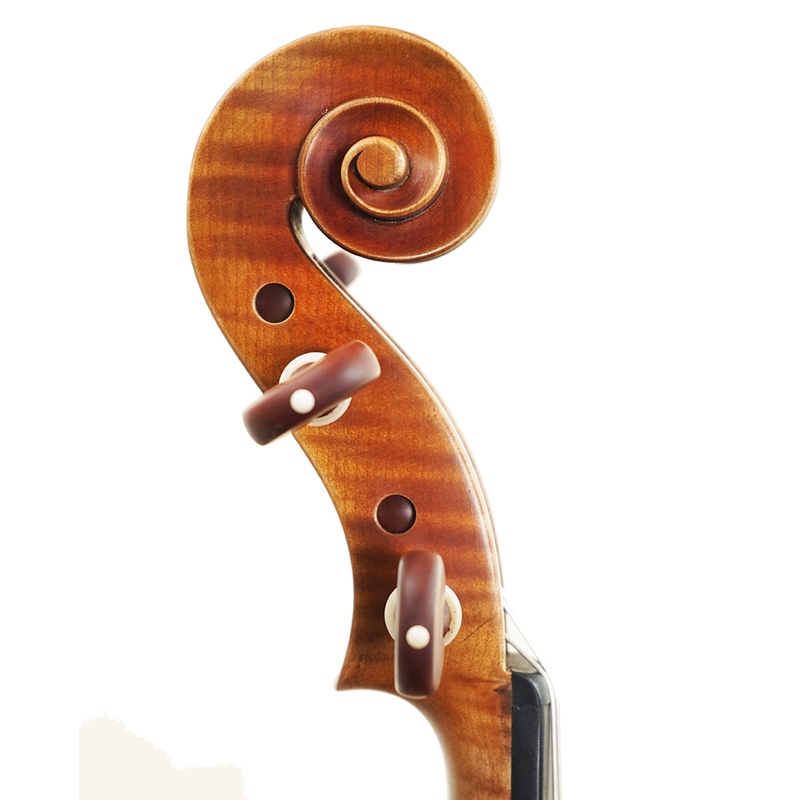 Anitque-style red-brown oil varnish. Excellent tonal presence and complexity. 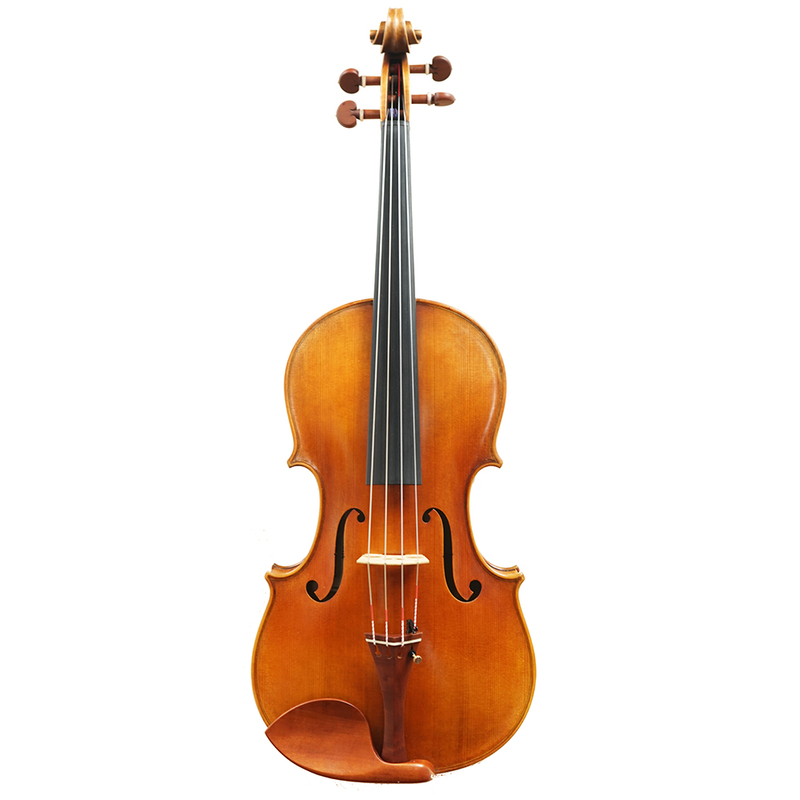 Stradivari and Guarneri models available available. 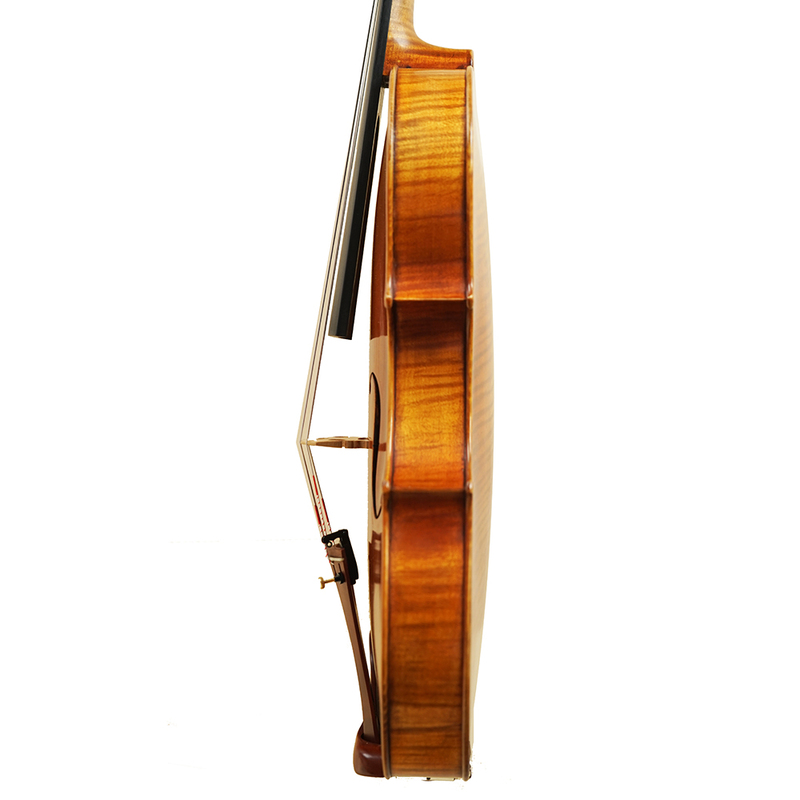 Setup: Dominant Strings, Aubert “ Luxe”bridge, Ebony fingerboard ,Boxwood pegs, Chin rest and Tailpiece.